Ski-Doo has done to the 600 class what it did to the 800 class; sent the competition back to the drawing board. That's supposed to be the final line to this report but there's no use denying it or trying to rationalize the performance of the competition compared to the new 600R E-TEC engine. The new-from-the-cases-up "R" is a torque laden, stump pulling rocket for the 600 class. Engagement happens just over 3000 RPM and when the pDrive pinches Kevlar the surge of uncharacteristically torquey 600-class power begins to extrude into white top with an urgency uncommon to this segment. It is meaty and broad through the mid-range and by the time you’re at full shift RPM at just over eight grand, the G4 is hauling serious booty. 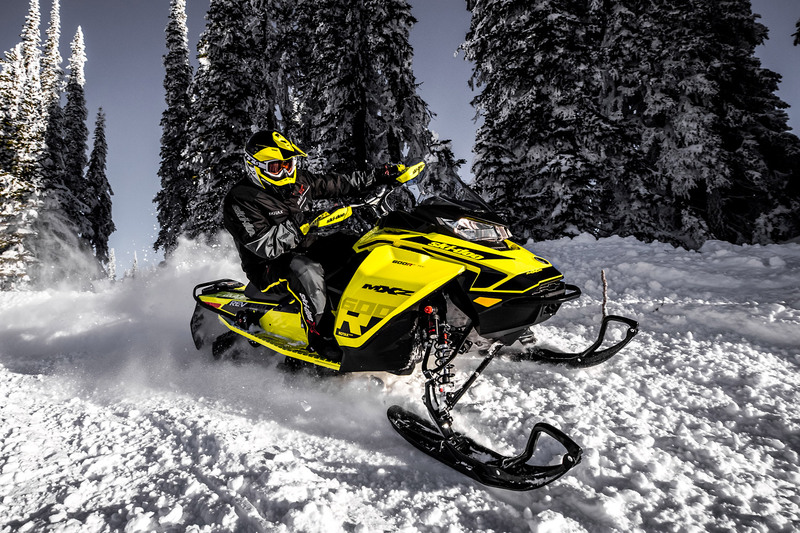 The 600 class benchmarks have been both the Polaris 600 Liberty and Arctic Cat's 600 Dual Stage Injection (DSI). The old Series III E-TEC had fallen to the bottom of the 600 class for power and the Minnesota duo both held court over the aging Rotax. 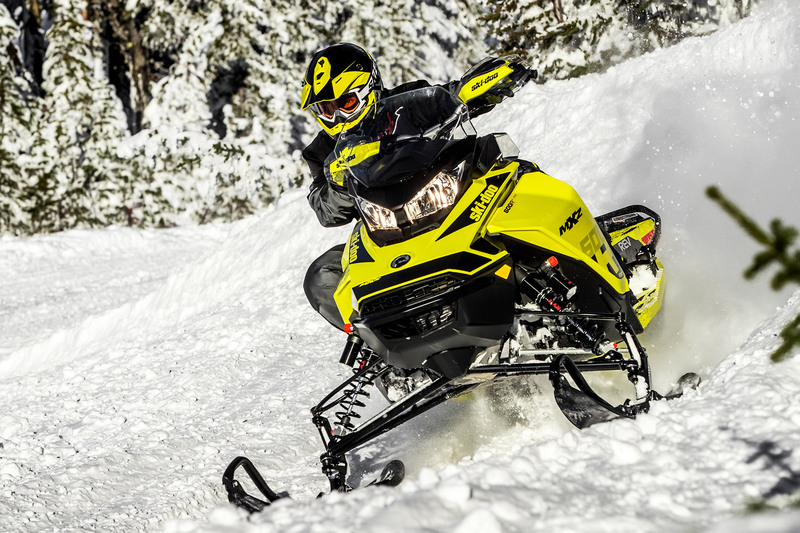 Clearly, Ski-Doo knew what was the target and if it was to deliver a new 600 class mill it would have to both outperform the other 600s and change the rules at the same time. Mission accomplished for the new 600R. It produces a claimed 125 HP and we think that's conservative. What we do believe is a reported 11 to 15 percent improvement in bottom end torque at engagement and a 30 percent improvement in throttle response. This is the rule-changing element of this powerplant. This delivery of torque launches the G4 with authority, while the surge of power stays strong - really strong. The new 600R is not a de-bored 850 although they look very similar. The 600 uses its own built-up crank, not a two piece forging. There are no boost injectors and the pistons are conventional all-aluminum units without the 850's cast iron ring lands. The engine is ultra narrow and has a flat stator – pretty much identical to the 850's. The flat stator allows for the engine to be mounted in exactly the same orientation as the 850, specifically way, way to the right - and no doubt will be fully adaptable to the new "SHOT" stator/starter motor system. The engine is "square" with equal bore and stroke dimensions. The new E-TEC injectors appear smaller and are reported lighter. An electronic oil pump meters oil precisely, preserving the E-TECs iconic reputation for miserly oil consumption and equally impressive fuel mileage. The engine weighs in very close to the Series III mill but keep in mind the e-starter is built-in and works internally, not requiring a heavy clutch-mounted ring gear. The most unusual piece of the limited build 600R we've been riding is the absence of Ski-Doo's tunable skis. 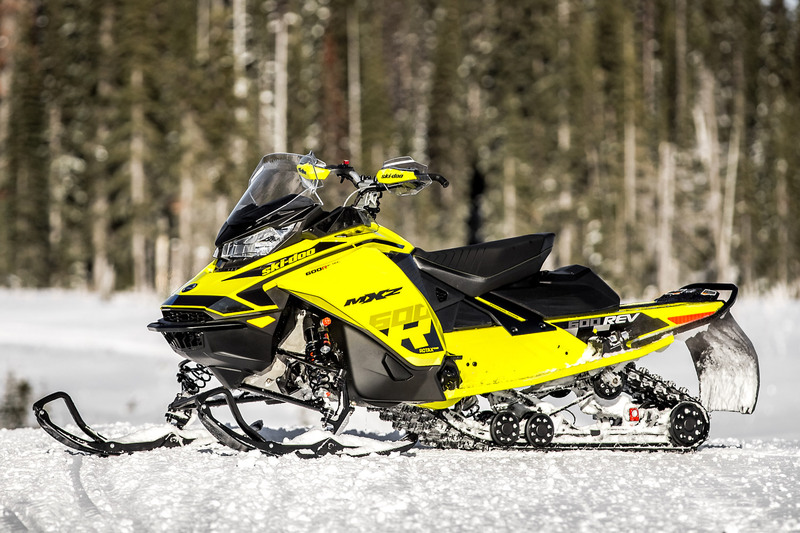 This version features what are surely MX-Z "X" package pieces: The deluxe gauge package, the adjustable (and necessary) handlebar riser, tunnel adjusters for the rear shock and torsion springs and all-new piggyback double clicker KYB front IFS shocks - but no tune-able skis. So here's where it gets interesting: Our 600R has dated Pilot 5.7 boards. We've been pretty clear stating our lack of approval for the new G4's handling last season. 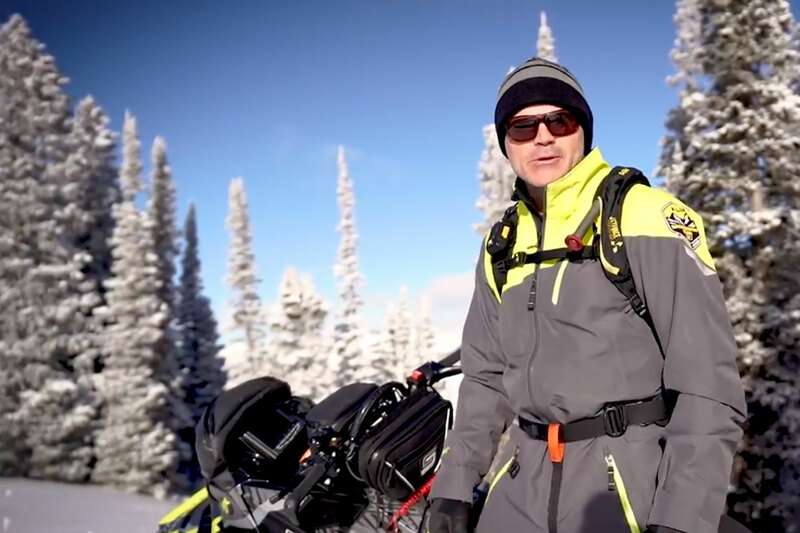 All of the sleds we've made these comments about are equipped with tune-able skis. The G4's we've ridden (with the exception of deep snow and X-overs which use mountain specific skis) generate a strange cornering posture we call "segmenting". The sled tends to turn-in too hard then the rider intuitively backs off the turning angle to settle the chassis. Once you feel settled you turn-in again (this is happening rapid fire) and the sled rolls hard onto the outside carbide, generating oversteer, which is not comfortable in high speed turns. With the 5.7's on the new 600R the chassis remains settled and the rider can easily control the oversteer/understeer balance with confidence and control. We're not sure what SD is going to do about this but if we were shopping a new G4 we'd bolt on a pair of 5.7s before leaving the dealer. The new G4 600R is a homerun. In the same way the 800 class rules have been re-written by the G4 850, the competition will likewise have to respond to this 600. Nuff said.